Worthing and Lancing have been drawn away in the FA Cup first qualifying round. Lancers, who have beaten division-higher opposition in the past two rounds to reach this stage, will make the trip to league above Bostik League South East outfit Phoenix Sports on Saturday week. 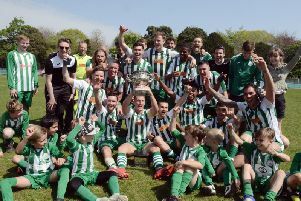 Ash Bailey's Lancing play in the SCFL Premier Division and have already won at Phoenix Sports' league rivals Haywards Heath Town and Greenwich Borough to get to this stage. Phoenix have won each of their opening three Bostik League South East matches but Lancers will be out to score another surprise FA Cup win. Worthing have also been handed an away tie in the first round qualifying. Former Brighton defender Adam Hinshelwood's side are unbeaten after four league matches and will make the trip to division-lower Bostik League South East Faversham Town on Saturday week. Worthing were dumped out of the FA Cup at the first round qualifying stage last season, suffering a 3-2 defeat at Dorking Wanderers.